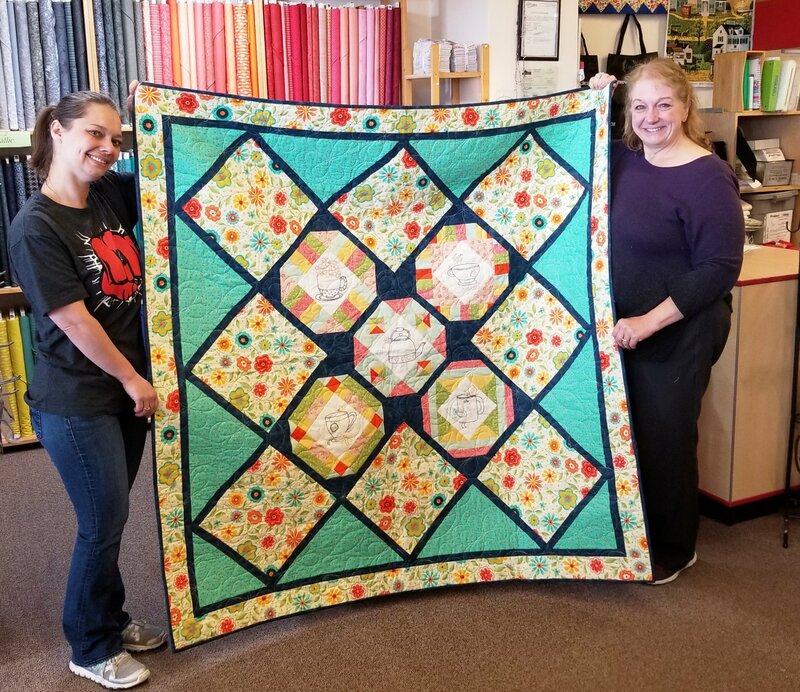 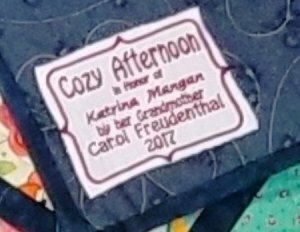 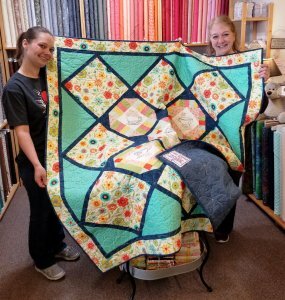 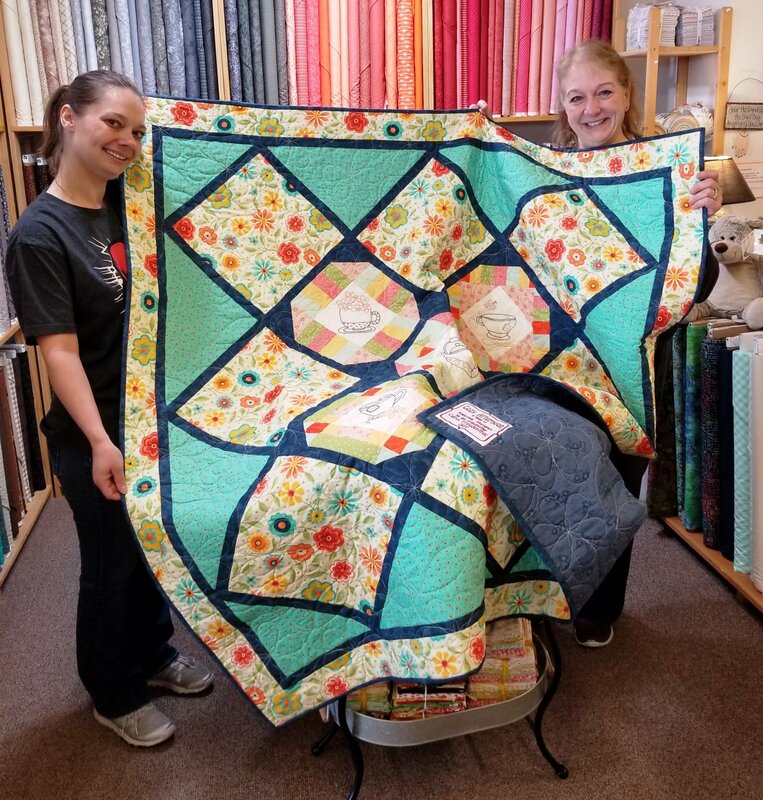 Melissa presents quilts to Wendy for the "Team Left HAND" MS fundraiser! 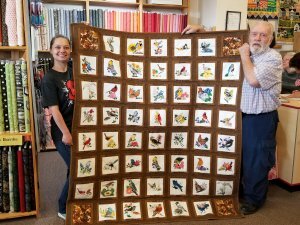 Watch for more information on the auction! 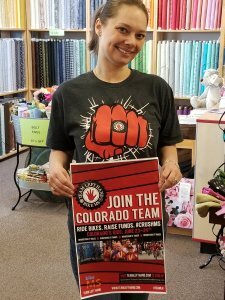 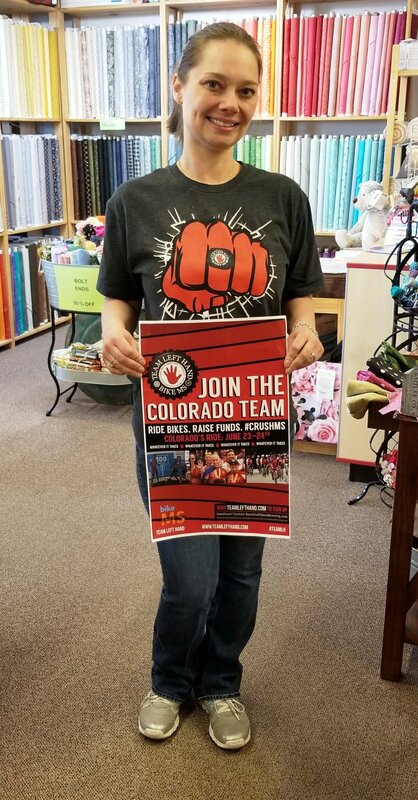 Join the Colorado team to ride bikes, raise fund and #crushMS for Melissa's daughter Katrina and for Wendy!! 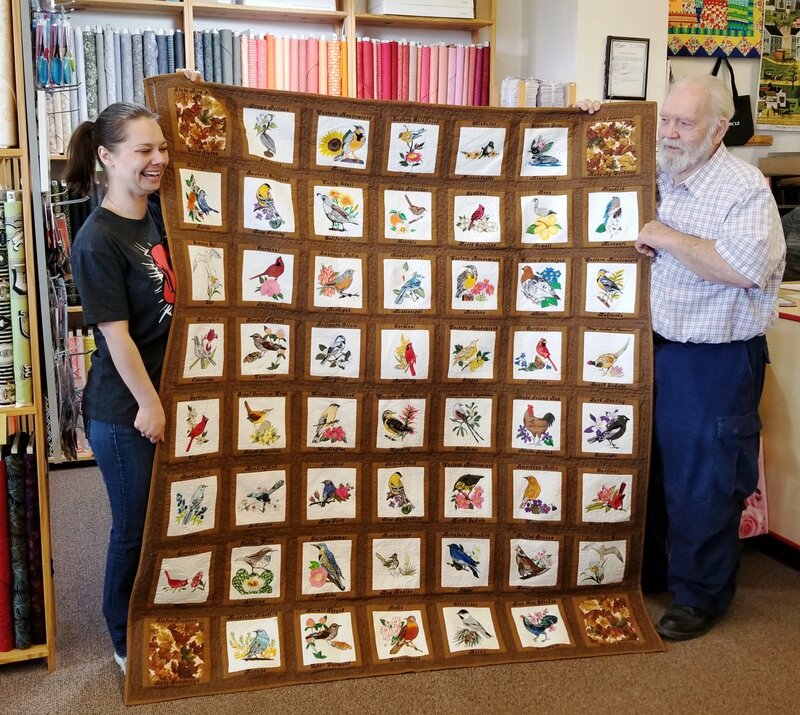 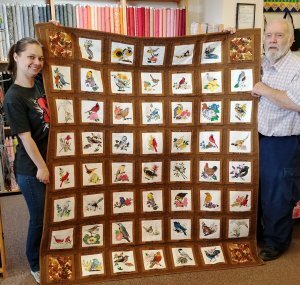 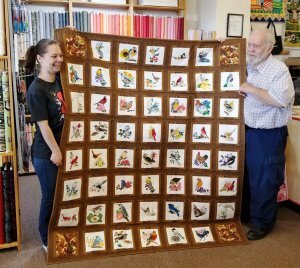 Al Workman presents his quilt to Wendy for the "Team Left Hand MS auction". Join Al & Wendy raising funds for the cure of MS!